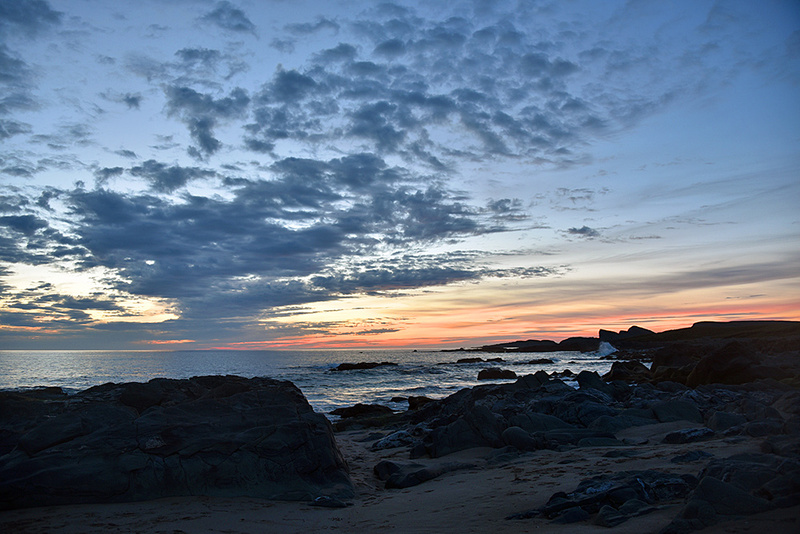 A nice June evening in Saligo Bay on the west coast of Islay, the gloaming providing last light just after sunset. For a similar view from higher up try Gloaming at Saligo Bay from the air as I took this the same evening I flew my quadcopter over the beach. This entry was posted in Beaches, Cloudy Weather, Landscape, New Post, Sunny Weather, Sunset and tagged Gloaming, Islay, Opera House Rocks / Sleeping Giant, Rhinns of Islay, Saligo Bay by Armin Grewe. Bookmark the permalink.